'These letters, well edited tell of a great conqueror, fighting for God and his king, and reveal the might proportions of the truly Elizabethan character that was Hernando Cortés.' Times Literary Supplement. Cortés's letters to the Emperor from Mexico are half-letters, half-despatches. The letters were all written between 1519 and 1526. Letter One: Despite the original never having been recovered, there is little doubt about the contents of this letter. The earliest discoveries of the mainland from 1517 onwards are outlined. Letter Two: Arguably the most dramatic of the five, this letter opens with the advance into the heart of the hostile country and the capture of the monarch. Letter Three: This letter covers the advance of Cortés into Culua, the assault on the capital itself and the various enterprises undertaken by the Conqueror to extend his power throughout Mexico. Letter Four: This letter is mainly concerned with organizational affairs, with the visit of Garay, causing rebellion in Pánuco, and concluding with the Frenchman's death, being the most important incident. 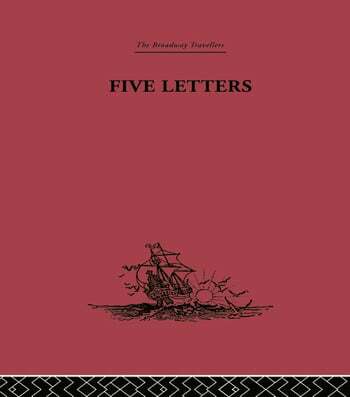 Letter Five: Beginning with the start of the expedition to Honduras, and chronicling the trials and tribulations of the daring journey, this letter ends with an account of Cortés' triumphant return to the post of Governor after several years' absence.